The Teenage Mutant Ninja Turtles, like many an 80's franchise, has seen a number of incarnations since its original release. Starting off as a comic by Kevin Eastman and Peter Laird in 1984, TMNT found mainstream success in 1987 when the first season of the animated series was aired on CBS. From there the Turtles could be found everywhere. Merchandising for the series was bountiful an included action figures, clothing, home wares and everything in between. Ninja Turtles toys even made an appearance in Pizza Hut chains in kids meal deals, marketing genius. The rest, as they say, is history. Now, 29 years after their inception, the Teenage Mutant Ninja Turtles are back in what is undoubtedly the best form since the original animated series. Follow on after the jump for our full review! I have many a fond memory of the Ninja Turtles. As a kid, I had A LOT of toys. Among those toys was an abundance of Ninja Turtles figures. I would sit and watch one of the two VHS cassettes that had the original series recorded to them, reenacting battles between the Turtles and the Foot or Bebop and Rocksteady but my favourite, Donatello, would always land the final blow. While this really has no bearing on the forthcoming review, it should act as a warning that the Teenage Mutant Ninja Turtles mean something to me. Over the last 20 years, Nickelodeon Animation Studio have proven their chops with titles such as Rugrats, Invader Zim and Avatar: The Last Airbender under their belt. Noticeably absent from their TV releases is the use of CGI animation, that is, until now. 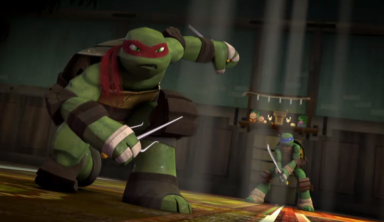 Given the full CG treatment, the animation in Teenage Mutant Ninja Turtles is great. 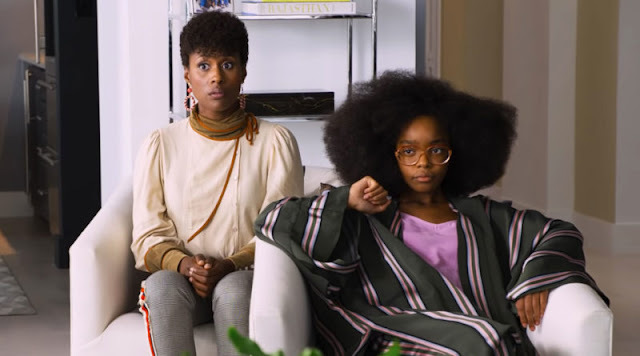 Striking a balance between dark, gritty urban surroundings and the brightness and whimsy that should accompany mutant turtles, the new series manages to deliver for every audience member. Watching this DVD, I tried to put myself into the shoes of my 10 year old self. In doing so, I realised that I would have absolutely adored this series. Throughout each episode there are elements of Japanese pop culture which act as acknowledgement of the Turtles roots. At their very core, they are ninja and the adopted sons of a Japanese citizen. This not only makes for entertaining viewing but also makes this latest incarnation much more relevant to today's audiences. This is a fantastic "family" series. While kids will absolutely love it, parents will too. An absence of blood and the fact that the bad guys are weird android... things... means that this series is accessible to everyone. One thing that parents in particular will be excited by is the voice casting. 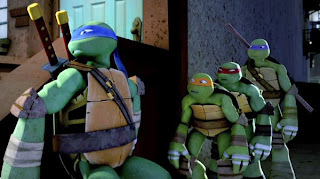 All four of the main cast are notable, including Sean Astin (Lord of the Rings) as Raphael, Jason Biggs (American Pie) as Leonardo, Greg Cipes (Ben 10) as Michaelangelo and Rob Paulsen (the original Raphael!) as Donatello. These actors work incredibly well together and seem to bounce off each other just are real (turtle) brothers would. Teenage Mutant Ninja Turtles is a whole lot of fun and it's great to be back in the world that I enjoyed so much as a kid. 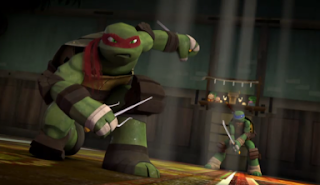 Rise of the Turtles is a great introduction both for us and for the turtles... to pizza. 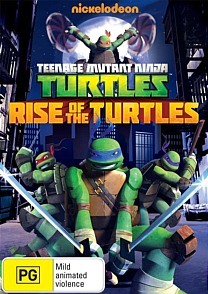 Teenage Mutant Ninja Turtles: Rise of the Turtles is available on DVD from March 6th.